It's official: I'm heading to Vancouver next thursday for 2 weeks! It's going to be Ayden's first trip, which stresses me a little...but hey, it'll be good practice for our Asia trip next spring. 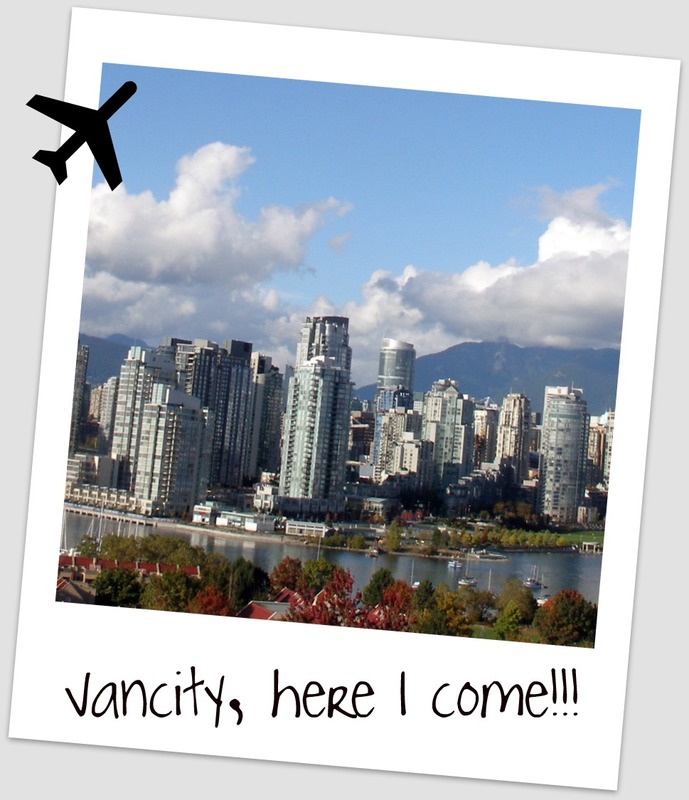 LOVE Vancouver - one of my favorite cities! You will have so much fun, and can't wait to see your photos/recap!